Borealis and Borouge, leading providers of innovative, value-creating plastics solutions, have launched an advanced grade of their BorPure high density polyethylene (HDPE) family to support the global beverage industry’s lightweighting trend for caps and closures. 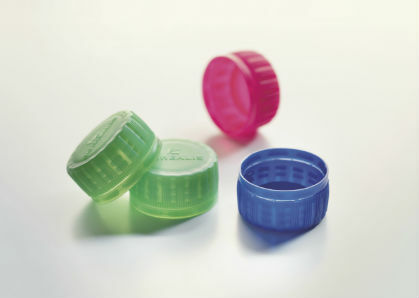 BorPure MB5568 brings a lightweight innovation to caps and closures for carbonated soft drinks, juices, teas and bottled water. The grade was launched in Europe by Borealis in early 2014 and will be officially launched in Asia by Borouge at Chinaplas in April. Based on Borealis’ proprietary Borstar polyethylene (PE) technology, BorPure MB5568 is designed particularly to complement the industry’s widening adoption of lightweight, standard short-neck closures (PCO 1881) that bring savings for the total packaging. Also of primary importance to the consumer is the ‘as bottled’ taste of the product. BorPure MB5568, as all BorPure grades, offers excellent organoleptic properties and has no taste or odour influence on bottle contents-a parameter monitored to ensure consistent batch-to-batch quality. Plastic Closure Innovations Conference in Berlin, Germany, and giving a presentation about HDPE and PP solutions to the challenges of the caps and closures industry.